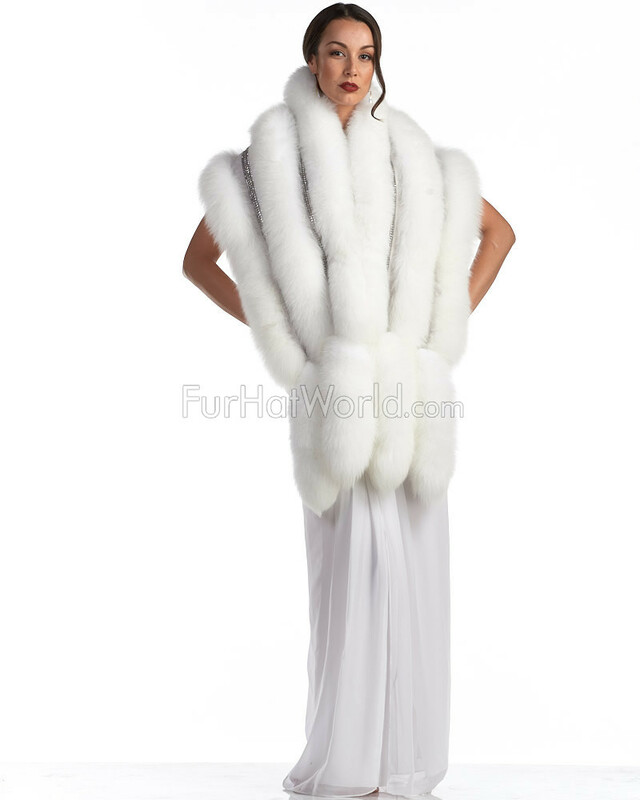 Feel content in our Esmeralda White Stole with Swarovski Crystals and Fox tail for her. 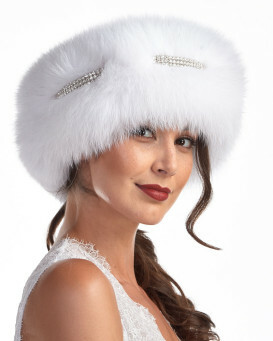 Genuine white fox fur is supremely lush over the accessory. Two fox fur tails at each end of the stole create a dynamic accent. One inch wide strips of genuine Swarovski crystals sparkle over the entire piece. This formal stole is great for a festive gala during the fall or winter. Matching sueded leather strips bedeck the design for an edgy touch. Two hook and eye closures combine with a soft and silky interior for a comfortable fit. This accessory is perfect for formal occasions.